Teaching is at the heart of what we do at a university. At UNT, we value effective teaching and are making strides to strengthen this commitment. To this end, we are pleased to announce that the Office for Faculty Success will be expanding our support of teaching and learning in several key areas over the coming months. Effective June 1, the Center for Learning Enhancement, Assessment, and Redesign (CLEAR) began reporting to the Office for Faculty Success. This collaborative partnership (which has been well established over the last few years) will only be strengthened by a solid line between our offices. Also, Julie Glass, Director of the Core Academy and former Associate Dean of Undergraduate Studies, will be reporting to our office where she will leverage her expertise in faculty development as well as her UNT experience with innovation and assessment in the core curriculum. We are thrilled with these partnerships and look forward to increasing our engagement with faculty--- all in the spirit of faculty AND student success. Look for more announcements and opportunities to improve your teaching in the Classroom Corner in upcoming issues of the faculty newsletter. Take a few minutes to subscribe to Tomorrow’s Professor, an online resource from the Stanford Center for Teaching and Learning which provides “Desk-Top Faculty Development, One Hundred Times a Year.” Whether you are a novice in the classroom or a 40-year veteran, we are certain that you will find something useful in this resource. 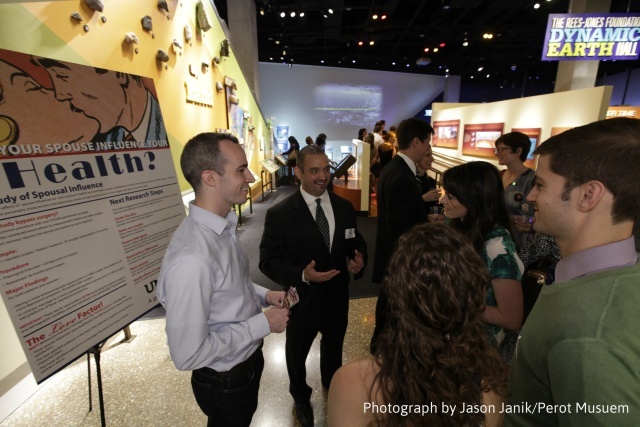 Six UNT exhibitions, exploring themes of scientific relationships, were displayed during the Social Science: Relationships event June 21, 2013 at the Perot Museum of Nature and Science in Dallas. The Perot Museum created Social Science as an after-hours, adult-only event designed especially to inspire the minds of adults ages 21 and older about science and nature through the use of guest speakers, performers, interactive demonstrations and experiments positioned throughout the museum halls and galleries. Read more about Dr. John Ruiz, assistant professor in psychology, and his work on the health benefits of marriage in the Faculty Success Spotlight Night at the Museum. The spring 2013 SETE results are available for your view. As you may recall, the decision to eliminate the effectiveness bands was made earlier this year and the updated view reflects this change. The SETE team, in collaboration with Smarter Services, continues to improve the reporting features so that faculty and departments can make the best use of the results. 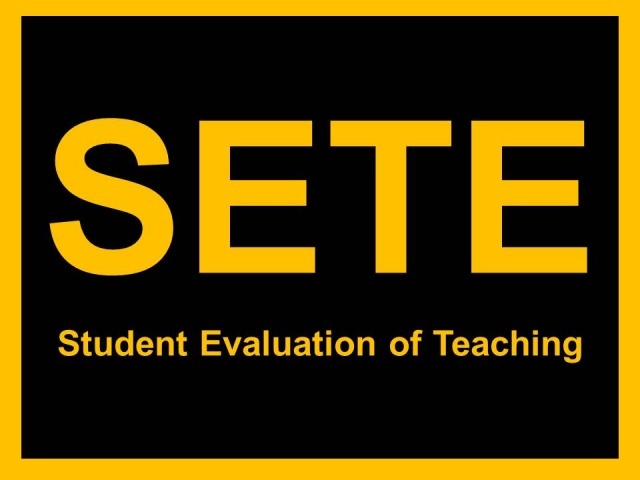 Although student evaluations can provide important feedback, we know that the SETE is only ONE measure of teaching performance. As your department develops a comprehensive mechanism to evaluate teaching, here are two thought provoking articles about the use (or possibly abuse) of student ratings of instruction (SRIs). 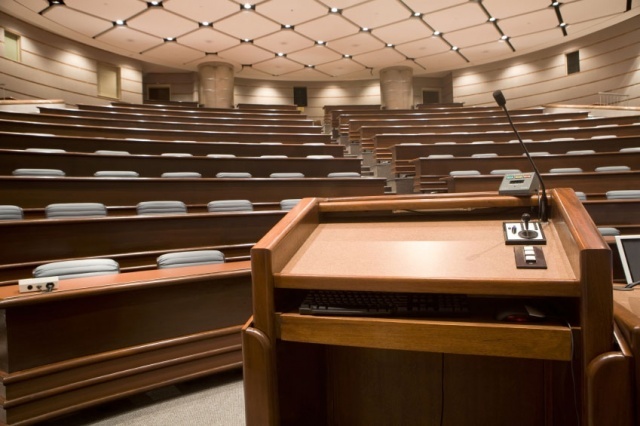 The first article, Can Faculty Misinterpretation and Misuse of Student Rating Results Lead to the Dumbing Down of College Education?, provides an overview of some questions that have been raised regarding claims of faculty “controllable biasing factors” in SRIs. The second article, is, to some extent, about form over substance…or is it? This article, Smooth Lectures Foster Only the Illusion of Learning, Study Finds, might make one question the value (or not) of perceived learning and how it might influence, rightly or wrongly, student ratings of instruction. Points to ponder on a hot summer day. Faculty members beam with pride when their students succeed - whether that is mastering a competency, excelling on an exam, or receiving a nationally competitive scholarship. At UNT, we have an excellent track record of students securing nationally competitive scholarships because of faculty members who are willing to take the time to mentor and coach students through the arduous process. 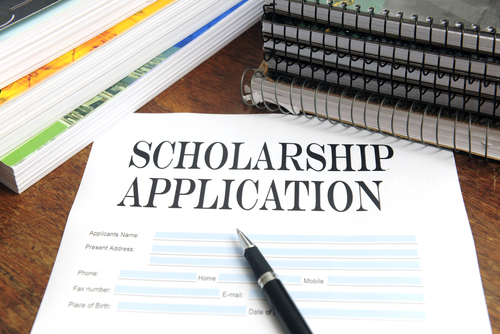 As promised, Dr. Jim Duban, Director of the Office of Nationally Competitive Scholarships, has assembled the next round of award opportunities for qualified students. To review these opportunities, please see Scholarship Opportunities, visit the Office of Nationally Competitive Scholarships website or contact Dr. Jim Duban at jduban@unt.edu directly. Negotiation Workshop: "Don't Hesitate to Negotiate"
July 12, 8:30 a.m. - 12:00 p.m. Academic Leader’s Workshop: September 18, 8:30 a.m. – 12:00 p.m., Gateway 43/47 (Chairs, Academic Associate Deans, Deans, and Senior Staff only). Featured Speakers: Tom McBride and Ron Nief, College Mindset Beloit College.